Celebrating its 35th Theater Season, Dulaang UP presents its fourth production, Amphitryon, a Roman comedy by Heinrich von Kleist with Filipino translation by Jerry Respeto and direction by Jose Estrella. 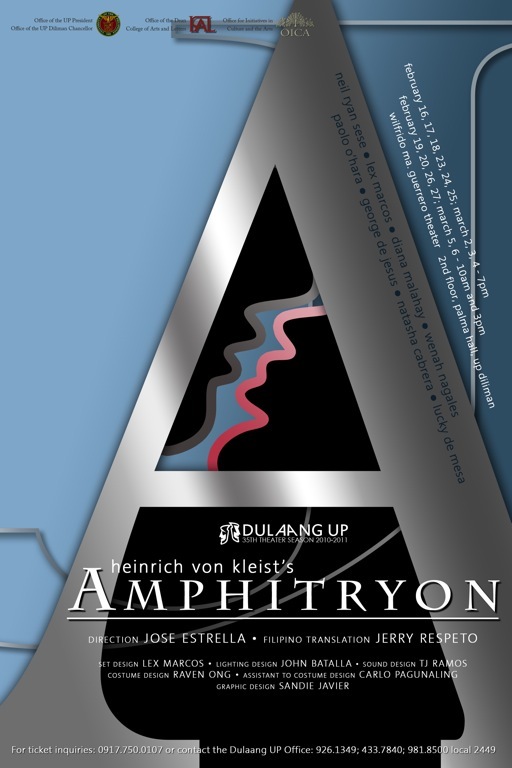 Amphitryon is a tale of love, infidelity and deception. It tells the tale of Alcmene, a loving and faithful wife whose husband, King Amphitryon, goes to battle. Falling in love with Alcmene, the god Jupiter disguises himself as her long-lost husband. After a night of exceptional happiness transpires between the supposed “husband” and wife, King Amphitryon of Thebes returns victorious from battle, and Jupiter suddenly disappears. Would Alcmene recognize the difference? Would Amphitryon discover the game played on them by the gods? The cast includes Neil Sese, Lex Marcos, Diana Malahay, Wenah Nagales, George de Jesus, Paolo O'Hara, Lucky de Mesa and Natasha Cabrera. 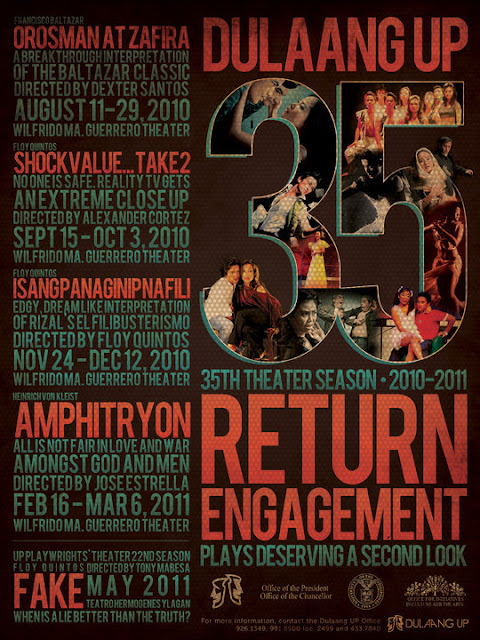 Comprising the artistic team are Set Designer Lex Marcos, Light Designer John Batalla, Costume Designer Raven Ong and Sounds Designer TJ Ramos. 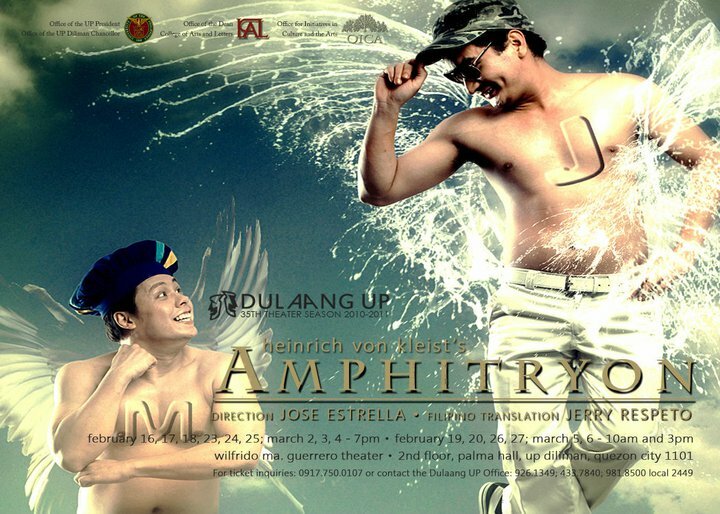 Amphitryon will run from February 16 to March 6, 2011 at the Wilfrido Ma. Guerrero Theater, 2nd floor Palma Hall, UP Diliman, Quezon City from Wednesdays to Fridays at 7pm and at 10am and 3pm during weekends.